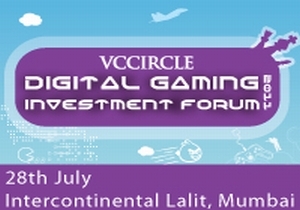 Given the huge numbers being forecast in mobile gaming in India â€“ INR 17 billion by 2015, I wonder if a certain Mr. Raja would have longed to be on the panel! While he enjoys the hospitality of the GoI, we enjoy the hospitality of the Intercontinental Lalit and organizers the VCCircle. We have a diverse and intriguing panel that has Vijay Shekhar Sharma, Rajiv Hiranandani, and Nikhil Soman from the Mobile VAS space, and Mohit Sureka and Rohith Bhat whose companies develop mobile games. 800 million mobile users and 8 million odd gamers but India still doesn't have a desi Angry Bird! Do our panelists think the next AAA hit will be around Bollywood or Cricket â€“ which between them account for 80% of mobile content â€“ let's see! Vijay sets the tone by emphasizing that mobile is red hot but red hot can burn your hands as well! Rajiv Hiranandani takes no time in crushing the smartphone based dreams of the gathering at the event and plumps for the good old dumb phones as driving the mobile gaming growth in India. Vijay tries to provoke a response from Rajiv by asking him about the 100 million Androids that India is supposed to have in the next two years â€“ it's Rohit who takes on the baton for smartphones now. Rohit has been ahead of the curve as far as Indian developers making games for international market and he is blazing full steam ahead on Android for India. Steve Jobsâ€¦ are you listening? Mohit's company launched an iOS game called Mumbai Sealink- an advergame for Maruti Suzuki, which is an interesting application of mobile games. Mohit seems to be dissing iOS also â€“ poor numbers in India, so it looks like an Android story for India. That is, if you can get the operators to part with revenues to earn enough for your next game. Nikhil is a pioneer in voice based gaming, not something you hear (heh!) or play everyday. As per Nikhil the only constraint on people playing games is access and voice based games solve that problem in a big way, since it is platform and telco agnostic. Interesting! Especially with him throwing numbers like 250,000 subscribers for his cricket game. Mobile is an access device, but what about the content? Rajiv talks about how Bollywood and Cricket still drive the content for our games â€“ no surprise for anyone but this is a fact that bears repeating. The negative is that movie producers ask for huge sums for licensing the IP and are not interested in revenue shares. Is "Yash Uncle" listening? The international biggies dominate mobile game titles in India because they bring their best and most successful titles to India and telcos are happy to lap it up. Mohit is no fan of the telcos either â€“ you know this panel should have had an operator, I think the organisers must have tried but the person must have feared the kind of reaction we are getting right now! Nikhil says no we can't make Angry Birdsâ€¦ yet! The panel finally gets to Revenue Sharing â€“ a "touchy" issue as mentioned previously. Rajiv gives the devil its due by saying the operator is the one delivering the consumer to the game developer. All agree that the operators are a necessary evil and Nikhil makes the valid point that Apple is also an operator and has been responsible for the growth of mobile gaming. The developers would like their revenue shares to increase from 30 per cent to 50 per cent but will scream blue murder if they are squeezed to margins of 15 per cent. Before rev shares however, how do you monetize? Mobile advertising is overhyped with a game having to be played a 1,000 times to generate a $1 in ad revenues! Rohit targets the international market and has not grappled with monetization in India yet and he is honest enough to admit that this has to be "figured out." 2nd panel for the day â€“ it was titled as a red hot session and it lived up to its name!